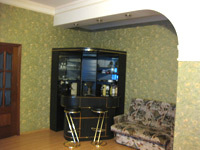 3-1 Three bedroom apartment in Nevsky prospect 77, 3 minutes walk to Mayakovskaya metro station, 1000 Euros per month. 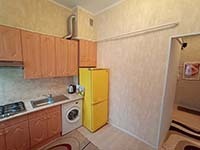 3-2 Three bedroom apartment in Bolshaya Morskaya street, 11, 2 minutes walk to Admiralteikaya metro station, 10 minutes walk to the Hermitage, 1200-1300 Euros per month. 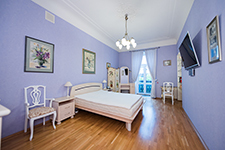 3-3 Two bedroom apartment in Italianskaya street 16, 5 minutes walk to Nevsky Prospect metro station, 2 minutes walk to Nevsky prospect, 800-900 Euros per month. 3-4 Four bedroom apartment on the Griboedova canal embankment 35, 10 minutes walk to Nevsky prospect metro station and to Nevsky prospect, 1200-1300 Euros per month. 3-5 Two bedroom apartment in Italianskaya street 16, 5 minutes walk to Nevsky Prospect metro station, 2 minutes walk to Nevsky prospect, 1000-1100 Euros per month. 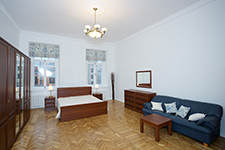 3-6 Two-three bedroom apartment in Rubinsteina street 15-17, 1 minute walk to Vladimirskaya/Dostoevskaya metro stations, 10 minutes walk to Mayakovskaya and Gostiny Dvor metro stations, 5 minutes walk to Nevsky prospect, 800-850 Euros per month. 3-7 Two-three bedroom apartment in Pravdi street, 5 minutes walk to Vladimirskaya/Dostoevskaya metro stations, 10 minutes walk to Nevsky prospect, 1000-1100 Euros per month. 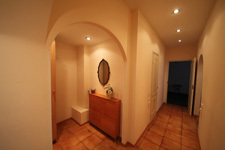 3-8 Two bedroom apartment in Povarskoi lane 9, 3-5 minutes walk to Mayakovskaya, Vladimirskaya and Dostoevskaya metro stations, 3 minutes walk to Nevsky prospect, 800-850 Euros per month, 60-110 Euros per night. 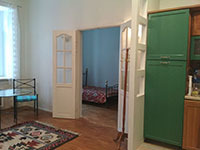 3-9 Three bedroom apartment in Pushkinskaya street 10, 3 minutes walk to Nevsky prospect, 5 minutes walk to Ploschad Vosstaniya and Mayakovskaya metro stations, 1000-1200 Euros per month, 90-170 Euros per night. 3-10 Three bedroom apartment in Italianskaya street 37, 5 minutes walk to Nevsky Prospect metro station, 2 minutes walk to Nevsky prospect, 1100-1300 Euros per month. 3-11 Two bedroom apartment in Kamennoostrovsky prospect, 6, 1 minute walk to Gorkovskaya metro station, 10 minutes ride to Nevsky Prospect, 600 Euros per month. 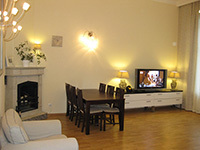 3-12 Four bedroom apartment in Kirochnaya street 17, 3 minutes walk to Chernishevskaya metro station, 15 minutes walk to Nevsky prospect, 1300-1400 Euros per month, 80-150 Euros per night. 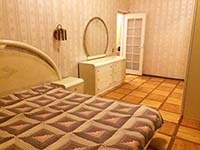 3-13 Three bedroom apartment in Nevsky prospect 88, 3 minutes walk to Mayakovskaya metro station, 100-220 Euros per night. 3-14 Two-three bedroom apartment on the Moika river embankment 31, 10 minutes walk to Nevsky Prospect and Admiralteiskaya metro stations, 10 minutes walk to Nevsky Prospect, 1000-1100 Euros per month. 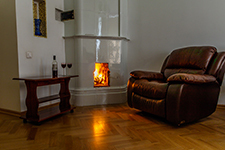 3-15 Two bedroom apartment on the Fontanka river embankment 58, 5 minutes walk to Vladimirskaya/Dostoevskaya and Gostiny Dvor/Nevsky prospect metro stations, 3 minutes walk to Nevsky prospect, 900-1000 Euros per night. 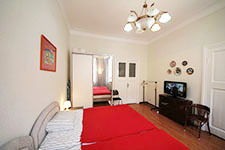 3-16 Two bedroom apartment in Nevsky prospect 63, 2 minutes walk to Mayakovskaya metro station, 60-150 Euros per night. 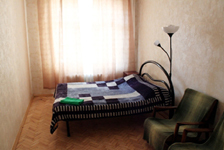 3-17 Two bedroom apartment in Pushkinskaya street 10, 5 minutes walk to Nevsky prospect, 5 minutes walk to Ploschad Vosstaniya and Mayakovskaya metro stations, 1000-1100 Euros per month, 70-170 Euros per night. 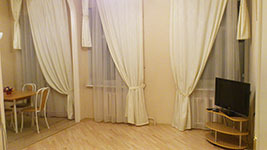 3-18 Two bedroom apartment in Transportny lane 2A, 10 minutes walk to Nevsky prospect, 1 minute walk to Ligovsky prospect metro station, 600-700 Euros per month. 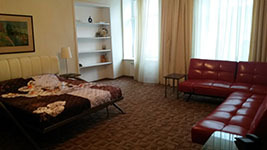 3-19 Three bedroom apartment in Voscresenskaya embankment 4, 15 minutes walk to Chernishevskaya metro station, 10 min ride to Nevsky prospect, 1000-1200 Euros per month, 80-180 Euros per night. 3-20 Three bedroom apartment in Grivtsova lane, 22, 1 minute walk to Sadovaya/Sennaya Ploschad/Spasskaya metro stations, 10 minutes walk to Nevsky prospect, 1000 Euros per month. 3-21 Four bedroom apartment in Ligovsky pereulok (lane) 4, 5 minutes walk to Ploschad Vosstaniya and Mayakovskaya metro stations, 5 minutes walk to Nevsky Prospect, 1400 Euros per month. 3-22 Two bedroom apartment on the Moika river embankment 6, 10 minutes walk to Nevsky Prospect metro station and to Nevsky Prospect, 1000-1200 Euros per month. 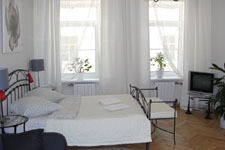 3-23 Two bedroom apartment in Suvorovsky prospect 15, 10 minutes walk to Ploschad Vosstaniya and Mayakovskaya metro stations, 10 minutes walk to Nevsky prospect, 10 minutes walk to Smolny Cathedral, 600-700 Euros per month. 3-24 Four bedroom apartment in the 12th line Vasilievsky island, 15, 10 minutes walk to Vasileostrovskaya metro station, 10-15 minutes walk to the State University, 1 metro stop or 10-15 minutes bus ride to Nevsky prospect, 1000 Euros per night. 3-25 Two-three bedroom apartment in Nevsky prospect 132, 5 minutes walk to Ploschad Vosstaniya and 10 minutes walk to Ploschad Alexandra Nevskogo metro stations, 1000 Euros per month. 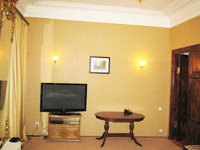 3-26 Two bedroom apartment in Mayakovskogo street 3, 1 minute walk to Mayakovskaya metro station and to Nevsky prospect, 900-1000 Euros per month. 3-27 Two bedroom apartment on the Moika river embankment, 28, 10 minutes walk to Nevsky prospect metro station and to Nevsky prospect, 800 Euros per month. 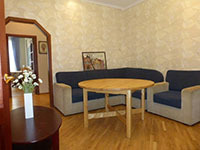 3-28 Two bedroom apartment on the Griboedova canal embankment 31, 2 minutes walk to Nevsky prospect and Nevsky prospect metro station, 60-100 Euros per night. 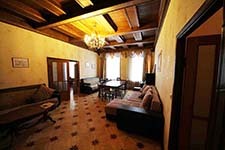 3-29 Two bedroom apartment in Vladimirskiy prospect 3, 5 minutes walk to Mayakovskaya, Vladimirskaya, Dostoevskaya metro stations, 1 min walk to Nevsky prospect, 900-1000 Euros per month. 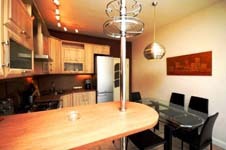 3-30 Three bedroom apartment in Nevsky prospect, 119, 7 minutes walk to Ploschad Vosstaniya metro station, 10 minutes walk to Ploschad Alexandra Nevskogo metro station, 1100-1200 Euros per month. 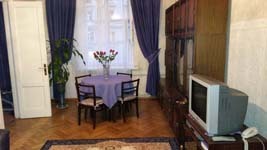 3-31 Two bedroom apartment in Sadovaya street 65, 10 minutes walk to Sennaya Ploschad/Sadovaya/Spasskaya metro station, 20 minutes walk to Nevsky prospect, 1300 Euros per month. 3-32 Two-three bedroom apartment in Nevsky prospect, 45, 5 minutes walk to Mayakovskaya, Vladimirskaya/Dostoevskaya and Nevsky prospect metro stations, 1000-1100 Euros per month. 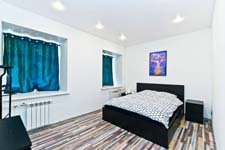 3-33 Two bedroom apartment in Zhukovskogo street 12, 5 minutes walk to Mayakovskaya metro station, 5 minutes walk to Nevsky prospect, 60-120 euros per night. 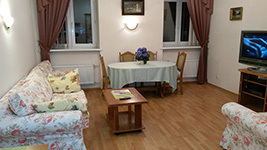 3-34 Two bedroom apartment in Liteiny prospect 51, 5 minutes walk to Mayakovskaya metro station, 5 minutes walk to Nevsky Prospect, 60-120 Euros per night. 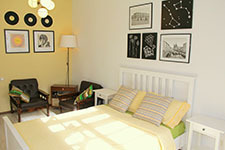 3-35 Four bedroom apartment in Pushkinskaya street 18, 5 minutes walk to Mayakovskaya and Ploschad Vosstaniya metro stations, 5 minutes walk to Nevsky prospect, 1000-1100 Euros per month. 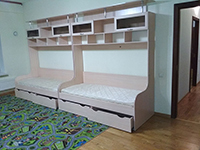 3-36 Two bedroom apartment in Zhukovskogo street 36, 5 minutes walk to Ploschad Vosstaniya metro station and to Nevsky Prospect, 60-100 Euros per night. 3-37 Two bedroom apartment in Razyezhaya street 15, 5 minutes walk to Ligovsky Prospect and Vladimirskaya metro stations, 10 minutes walk to Nevsky prospect, 900-1000 Euros per month. 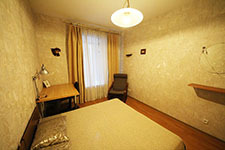 3-38 Two bedroom apartment in Grodnensky lane 6, 10 minutes walk to Chernishevskaya and Ploschad Vosstaniya/Mayakovskaya metro stations, 10 minutes walk to Nevsky prospect, 800-900 Euros per month. 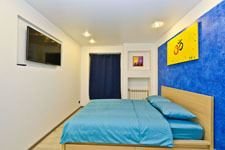 3-39 Two bedroom apartment in Rubinsteina street 26, 2 minutes walk to Dostoevskaya/Vladimirskaya metro stations, 5 minutes walk to Nevsky prospect, 60-170 Euros per night. 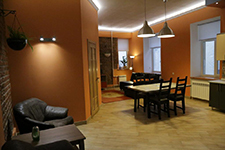 3-40 Five bedroom apartment in Zagorodny prospect 21-23, 5 minutes walk to Dostoevskaya/Vladimirskaya metro stations, 5 minutes walk to Nevsky prospect, 1300-1400 Euros per month, 100-200 Euros per night. 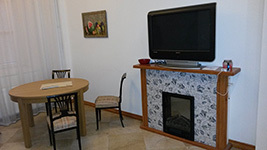 3-41 Two bedroom apartment on the Fontanka river embankment 85, 5 minutes walk to Sadovaya/Sennaya Ploschad metro station, 10 minutes walk to Nevsky prospect, 50-100 Euros per night. 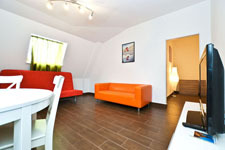 3-42 Two bedroom apartment in Marata street 19, 5 minutes walk to Mayakovskaya/Vladimirskaya/Dostoevskaya metro stations, 5 minutes walk to Nevsky prospect, 60-120 euros per night. 3-43 Two-three bedroom apartment in Malaya Konushennaya street, 8, 1 minute walk to Nevsky prospect metro station and to Nevsky prospect, 1000-1100 Euros per month. 3-44 Two-three bedroom apartment in Bolshaya Morskaya street, 27, 5 minutes walk to Admiralteiskaya metro station, 5 minutes walk to Nevsky prospect, 1000-1100 Euros per month. 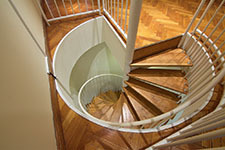 3-45 Four bedroom apartment in Bolshaya Morskaya street 36, near the Hermitage, and St.Isaac's Cathedral, 3 minutes walk to Nevsky prospect, 1 minute walk to Admiralteiskaya metro station, 1300-1400 Euros per month, 70-180 euros per night. 3-46 Three bedroom apartment in Italianskaya street 5, 2 minutes walk to Nevsky Prospect metro station, 2 minutes walk to Nevsky prospect, 1300 Euros per month. 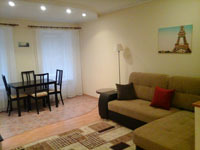 3-47 Two bedroom apartment in Reshetnikova street, 17, 10 minutes walk to Electrosila metro station, 10 minutes ride to Nevsky prospect, 350 Euros per month. 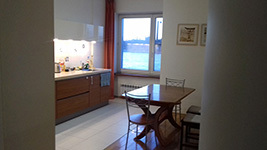 3-48 Three bedroom apartment on the Moika river embankment 30, 10 minutes walk to Nevsky prospect (Griboedova canal exit) and Admiralteiskaya metro stations, 10 minutes walk to Nevsky prospect, 1000 Euros per month. 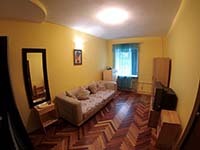 3-49 Two bedroom apartment in Vladimirskiy prospect 13/9, 3 minutes walk to Vladimirskaya/Dostoevskaya metro stations, 5 minutes walk to Nevsky prospect, 700-750 Euros per month. 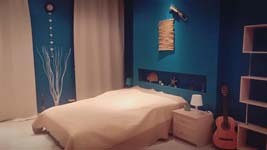 3-50 Four bedroom apartment in the 11th line of Vasilievsky Island 20, 10 minutes walk to Vasileostrovskaya metro station, 10 minutes or one stop metro ride to Nevsky prospect, 2000 Euros per month. 3-51 Two bedroom apartment on the Moika river embankment 6, 10 minutes walk to Admiralteiskaya and Nevsky prospect metro stations, 10 minutes walk to Nevsky prospect, 1100-1200 Euros per month. 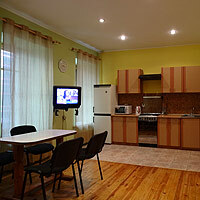 3-52 Three bedroom apartment in Nevsky prospect 88, 3 minutes walk to Mayakovskaya metro station, 5 minutes walk to Ploschad Vosstaniya metro station, 1000-1100 Euros per month. 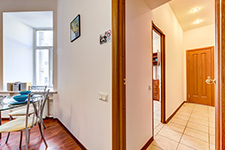 3-53 Three bedroom apartment in Soyuza Pechatnikov street 18, 15 minutes walk to Sennaya Ploschad/Sadovaya metro station, 30 minutes walk or 5 minutes ride to Nevsky prospect, 900-1000 Euros per month. 3-54 Two bedroom apartment in Malaya Konushennaya street 12, 3 minutes walk to Nevsky prospect metro station, 1 minute walk to Nevsky prospect, 1000 Euros per month. 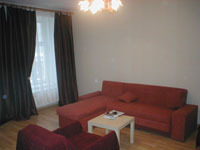 3-55 Two bedroom apartment in Vosstaniya street 9, 3 minutes walk to Ploschad Vosstaniya metro station and to Nevsky prospect, 800 Euros per month. 3-56 Two bedroom apartment in Chaikovskogo street 60, 5 minutes walk to Chernishevskaya metro station, 20 minutes walk to Nevsky prospect, 650-700 Euros per month. 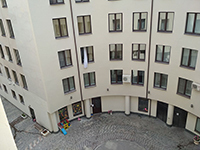 3-57 Two bedroom apartment in Dostoevskogo street, 38, 5 minutes walk to Vledimirskaya/Dostoevskaya metro stations, 10 minutes walk to Nevsky prospect, 700-750 Euros per month in the winter season (the apartment is rented just daily in May-August/September). 3-58 Three bedroom apartment in the 10th Sovetskaya street 4, 15 min walk to Ploschad Vosstaniya metro station and to Nevsky prospect, 1000 Euros per month. 3-59 Two bedroom apartment in the 10th Sovetskaya street 4, 15 min walk to Ploschad Vosstaniya metro station and to Nevsky prospect, 900 Euros per month. 3-60 Three bedroom apartment in the 10th Sovetskaya street 4, 15 min walk to Ploschad Vosstaniya metro station and to Nevsky prospect, 1100-1200 Euros per month.